Nokia PureView is launching in India after much speculation about the launch and the pricing details. 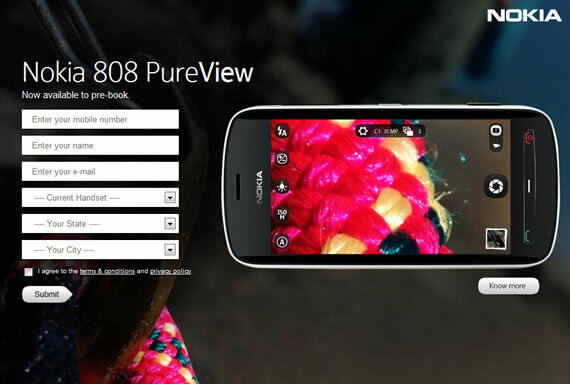 Nokia put up a teaser website for Nokia PureView 808 at PureView.in. The teaser site features a ticking clock that is pointing to June 6th as the official launch date in India. You have to answer a quiz before you are redirected to the timer on the teaser site. You can also add your email to get notified “when the action begins” according to Nokia. 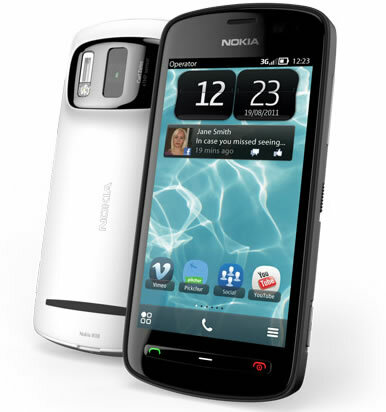 Nokia PureView is a Symbian Belle device, the most talked about feature of this phone is the monstrous Camera with a 41 megapixel sensor, autofocus, Xenon Flash and Carl Zeiss optics. It features a 4 inch AMOLED capacitive display at 640 x 360 pixel resolution. Other specs of the device include 1.3GHz processor, 512MB RAM. It will support Wi-Fi, Bluetooth, NFC, GPS and DLNA. Price of the PureView 808 is not yet announced but some websites are reporting the price could be Rs 29,999 or Rs 34,000. We will know the exact price only at the official launch. Those who are waiting to get their hands on this device can prebook it from Nokia site.